Causal Quantum Theory presents original research derived from more than 35 years of study. Quantum mechanics is treated in a completely causal deterministic manner. Particle trajectories, which yield interference and diffraction patterns, are prescribed necessarily and uniquely. The centuries old wave particle problem is resolved. It is shown how particles, passing through two pinholes, travel along discrete trajectories to yield the double-pinhole interference pattern. Initial positions determine which photons are reflected and which refracted at an interface; no probabilistic ideas are needed. The penetration of a barrier is the result of the quantum potential. The discrete trajectories and motion of the electron in the hydrogen atom are presented. The motion of a particle in a box, the simple harmonic oscillator, and other examples are given. 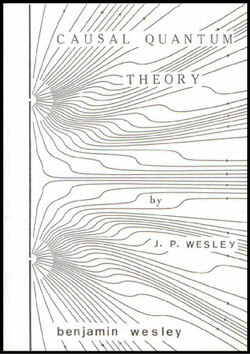 The Michelson-Morley result is revealed as a Doppler effect as originally predicted by Voigt in 1887 using absolute space-time. Absolute space-time physics is discussed in detail. This book provides the indispensible tools for the physics of tomorrow.